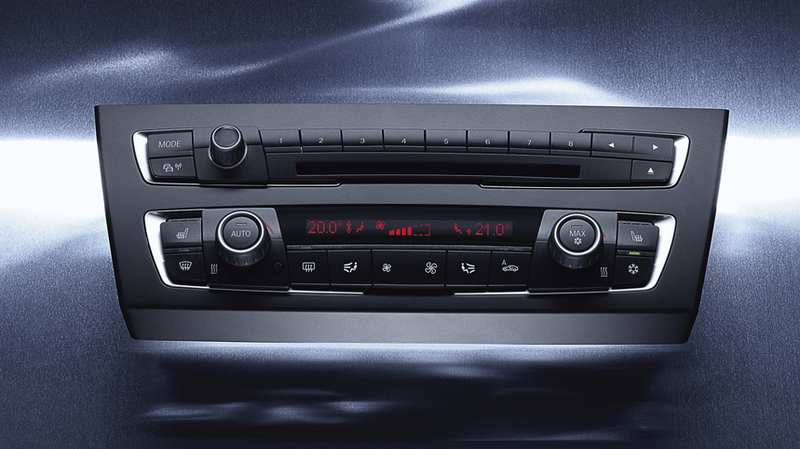 Facilitating interaction with the vehicle… with elegance. 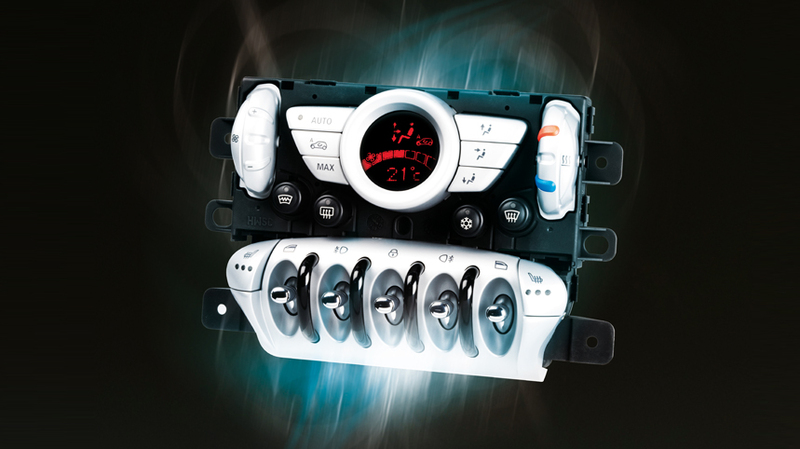 The Valeo smart faceplate is the result of research into the best balance between safety, intuitivity, comfort, performance and style. Modular approaches provide solutions for all vehicle types, from entry-level right up to “premium”. 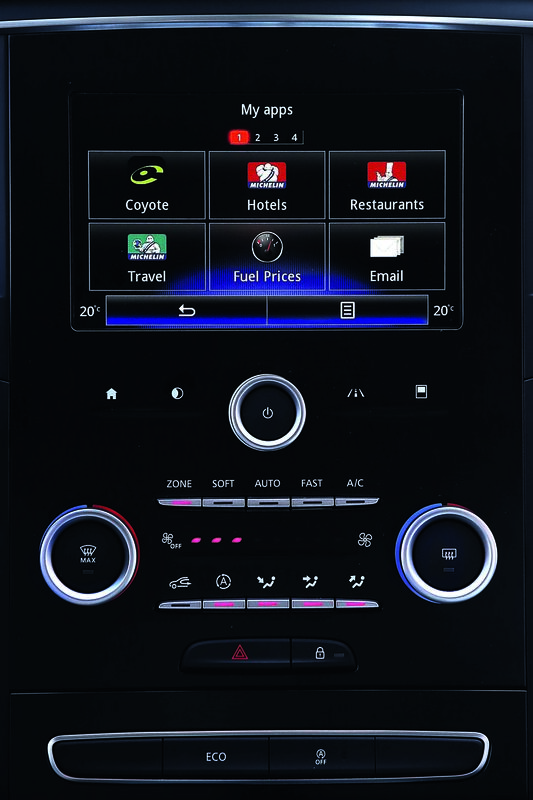 Today’s cars offer increasingly sophisticated air-conditioning and “infotainment” systems. 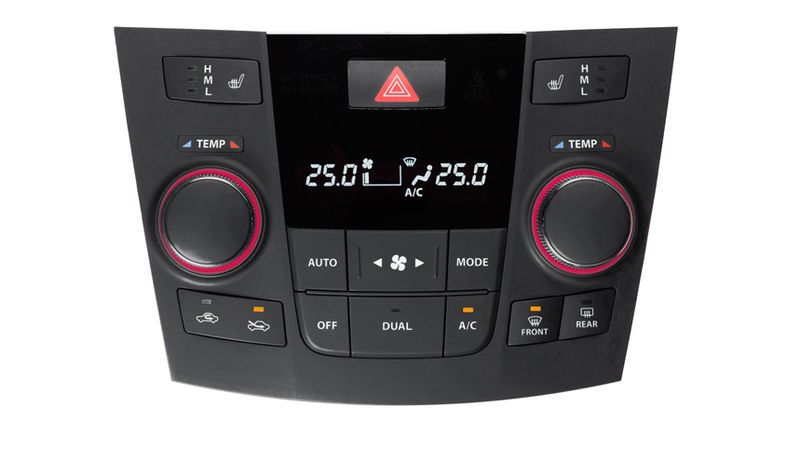 These comfort features are very desirable, but can overload the central area of the dashboard with a complex array of different controls. 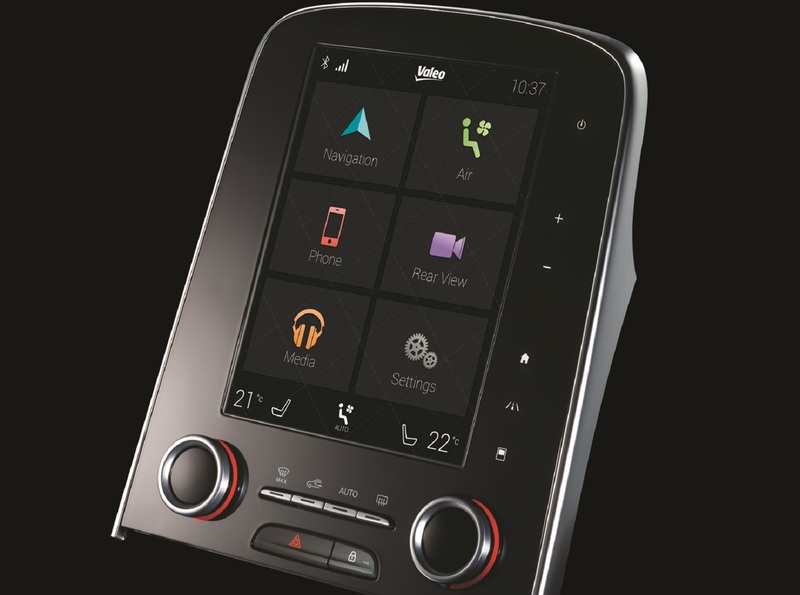 The intelligent faceplate is the solution developed by Valeo to help carmakers achieve the complex task of reconciling the ever-increasing number of functions to operate with the need for man-machine interfaces which are simple, intuitive and fluid, thus reducing the cognitive workload on the driver and ensuring safety. 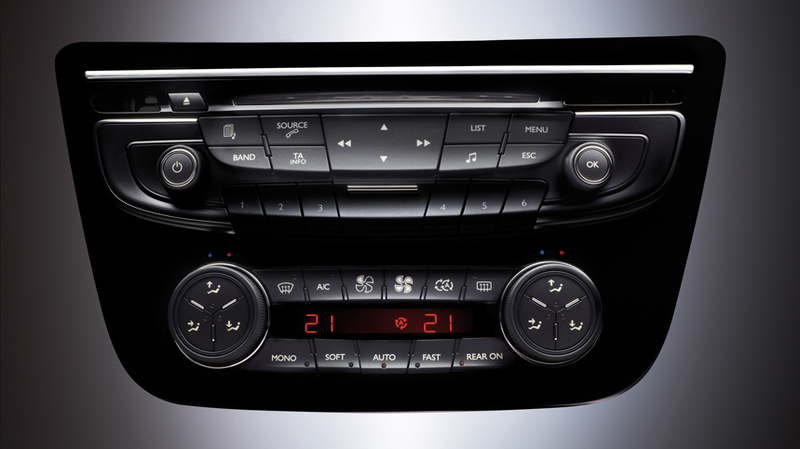 When you consider ergonomic requirements from the very start of the initial design phase, you can create intuitive controls which are easy and enjoyable to use – even in a limited spatial area – and feature innovative, refined design. 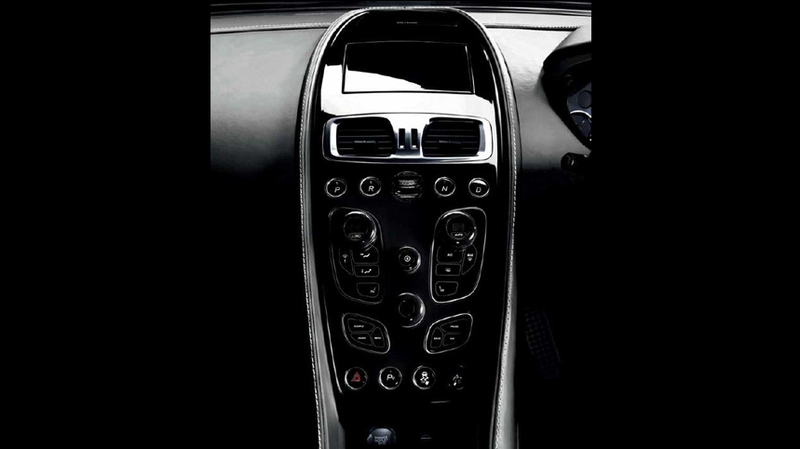 Very wide choice of decorative techniques, depending on the effect desired by the carmaker: paint, tampo printing, chrome plating, laser etching, multi-injection, film application, “piano black” effect, etc. 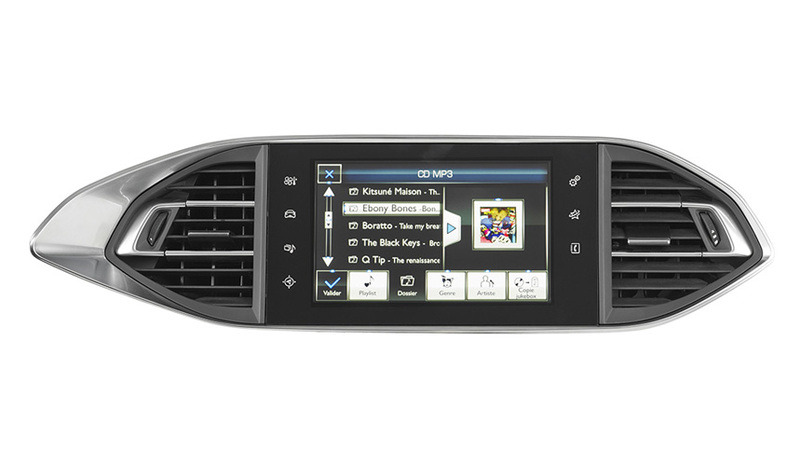 Integration of all display system types, from single-function LCD screen to multi-function touch screen. Multiple interaction technologies including push button, rotary knob, capacitative proximity sensors, infrared movement detection, etc. 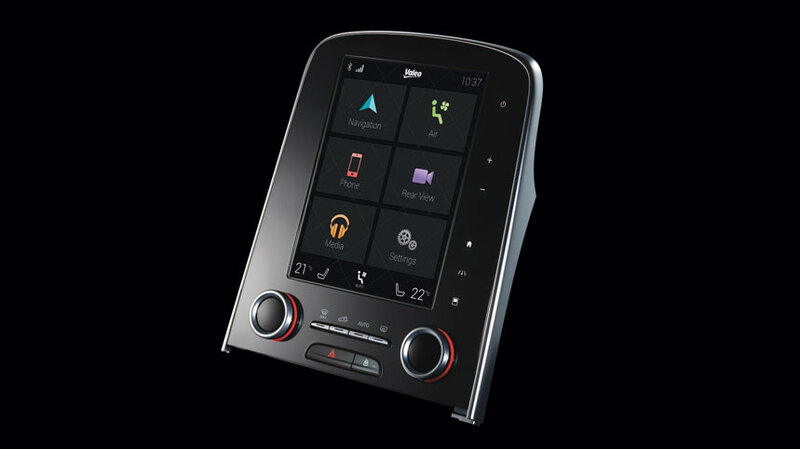 The smart faceplate is a Valeo Comfort and Driving Assistance Systems innovation which combines design, simplicity and functionality.